Intricate scroll crystal chandelier earrings taking influence from Edwardian designs. Statement glamour full of vintage elegance. If you adore beautifully intricate jewellery that could be mistaken for an Edwardian family heirloom, our Ornate Heirloom Earrings are simply exquisite. Featuring delicate silver tone swirls enhanced with marquise cut Austrian crystal droplets, this sensational pair are perfect to wear alone for classic vintage look, or teamed with a statement cuff or tiara for a more dramatic style. 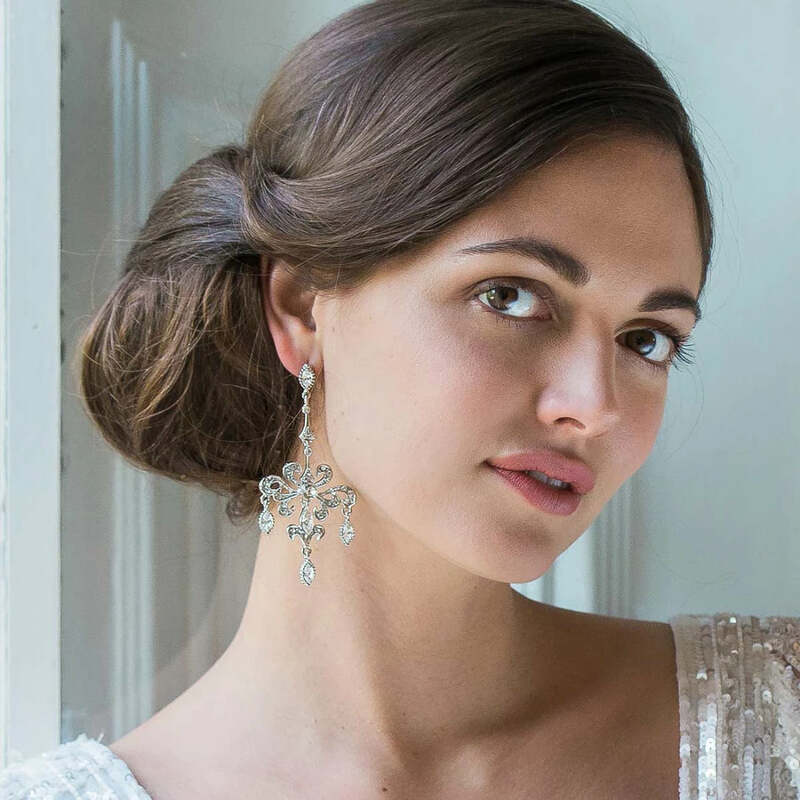 With a style reflected of precious period jewellery, Ornate Heirloom Earrings are the ultimate finishing touch to a glamorous floor-sweeping gown or to dress up a chic shift with a touch of vintage glamour.